Less than 10 minutes away from Avignon, a unique character, modern and comfortable, tennis court and pool, in a peacefull atmosphere and overlooking the park. Absolute calm, without « vis-à-vis » for this old house of 450m ² comprising : An entrance hall serving a bright double living room of 63m ² with fireplace, a second living space of 75m ² with kitchen, dining area and a sitting area with a fireplace, a cellar, and a 38m ² office. At 1st floor, a master-bedroom of 45m² with dressing room and bathroom, as well as 5 bedrooms and 2 bathrooms. In dependency: Big garage of 62m ² with a mezzanine of arrangement. Over 400m² of terraces to enjoy the view of the park. The swimming pool of 10m x 6m is bordered of a broad terrace which leads to the pool-house. Tennis court and a « petanque » court. The landscaped park of 5.600m², planted with Mediterranean species, is fed by a drill. Possibility to purchase additional land of 1 000m². 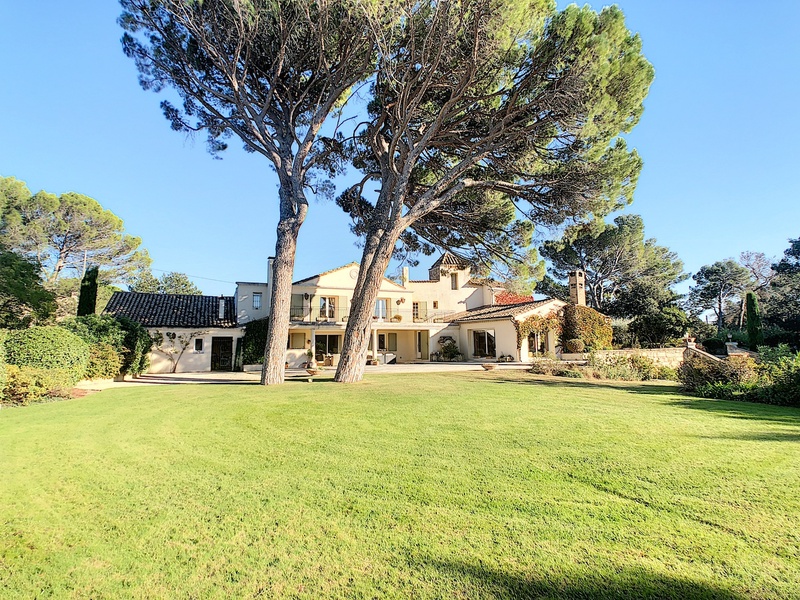 This property is located 5 minutes away from shops, about 10 minutes from Avignon, 15 minutes from Avignon TGV and 1 hour from Marseille-Provence International airport. L'Isle-sur-la-Sorgue, the countryside nearby the city center ! Specialized in valuation and sales of luxury properties and vineyards in France, VIP Real Estate provides you with a range of services, thanks to its experts network( legal, banks, notary) in view of your acquisition in France. © 2015-2016 VIP REAL ESTATE. All Rights Reserved. Creation de site internet : SIGN.